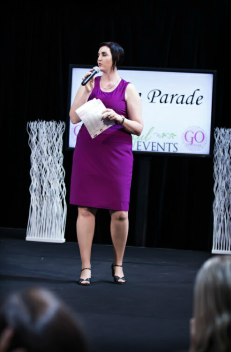 A Master of Ceremonies (MC or compère) is the official host of a Wedding Reception, staged event or similar performance. Planning a running sheet with you to ensure your event runs smoothly. Giving you access to resource materials including books and speech writing tools. Being flexible with times and arrangements. Traveling to your event location. Remaining calm and capable in any situation and trouble shoot any issues on your behalf. Appearing well groomed and professional to suit your event style and theme. Providing a link between the events of the night, for examples announcing speeches, cake cutting and the first dance etc. Providing an efficient and prompt service to you before, during and after your reception. 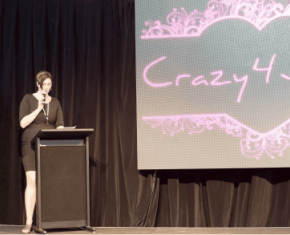 "Absolutely fantastic as a celebrant and MC. Just commanded the night without taking it away from us, the couple. She joked and mingled with guests and knew just what to say even when it wasn't discussed before. Made the whole thing seem like we had rehearsed it well even when it was on the fly. Truly took the stress out of the whole thing! Highly recommended. "